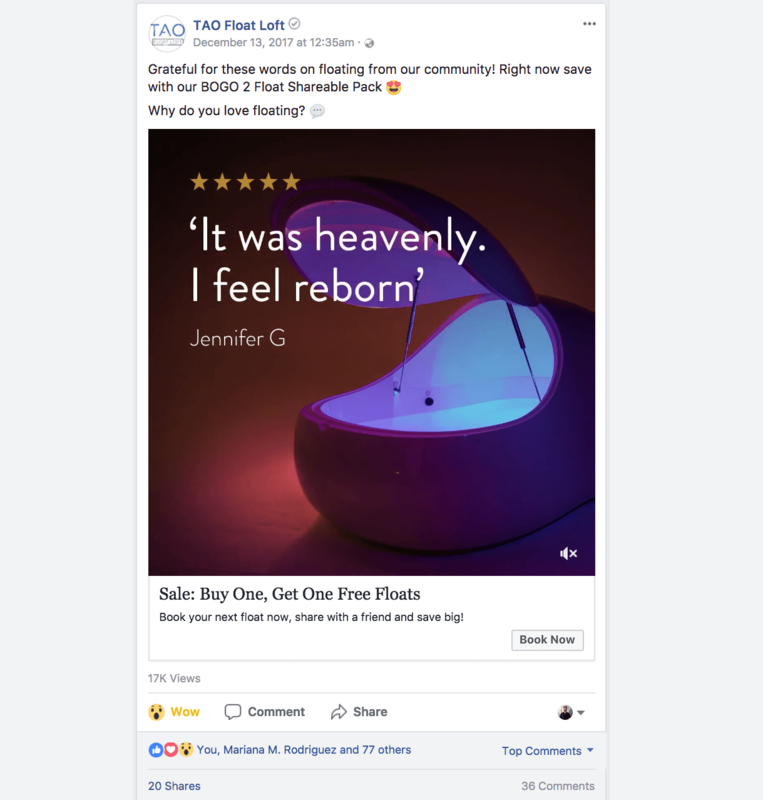 46% Higher Sales than their first location opening! 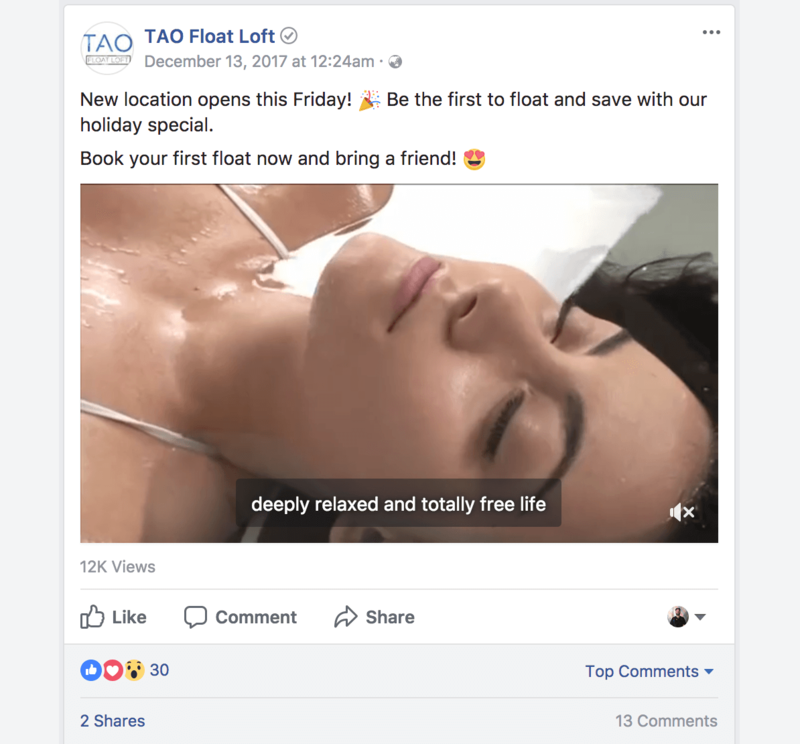 Tao Float Loft had their new Mariemont location opening in December and was referred to us at the last minute to help drive pre-sales and bookings. We used their Business Upgrade hours to revamp their website fixing key issues and improving the design for better conversions. 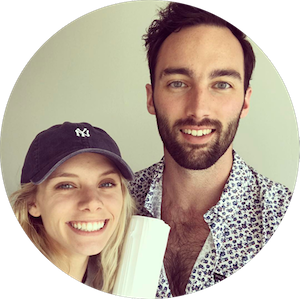 Our strategy for the month revolved around pre-sales and holiday specials while prioritizing bookings to fill their new tanks. 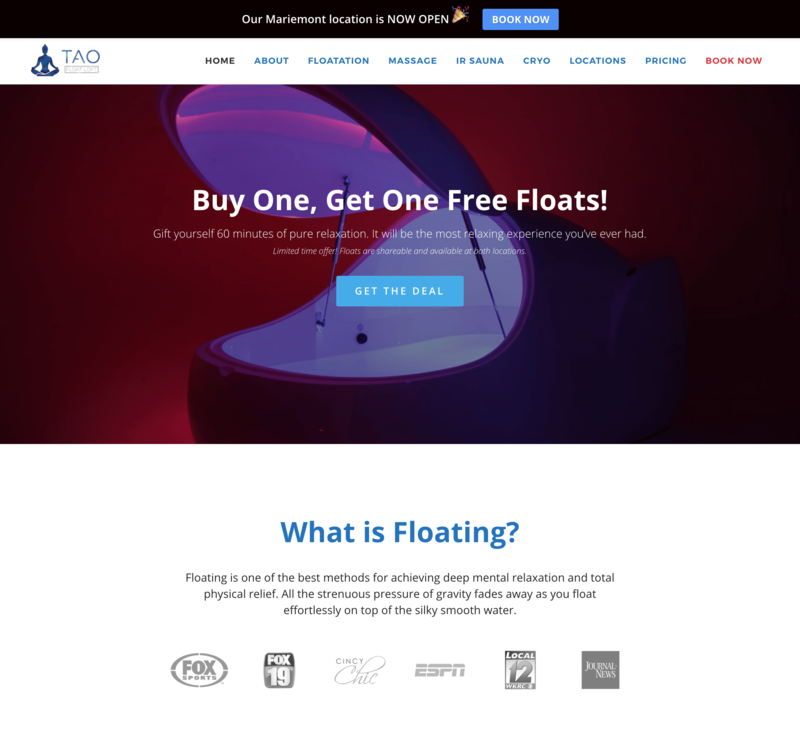 For launching a new float center, we knew we’d need to launch off the current community and success of Tao Float Loft while driving unique awareness around the new location. Instead of cannibalizing sales from their main location, we set new records for both. Our top performing ad got 2031% ROAS in the first week! Best Month Ever in Sales for West Chester location! 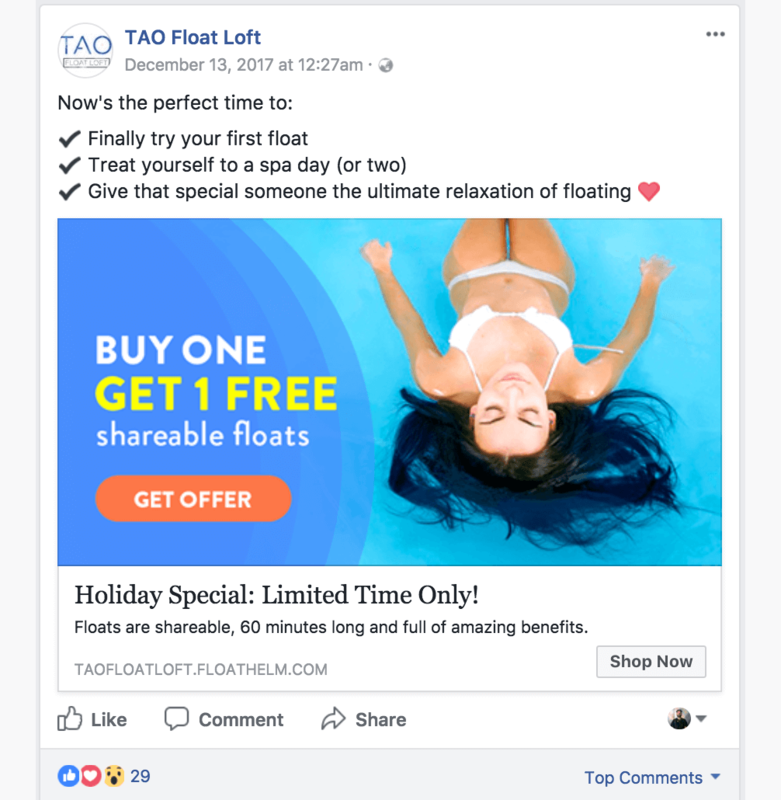 We increased Tao Float’s return on ad spend by 185% compared to their previous month.